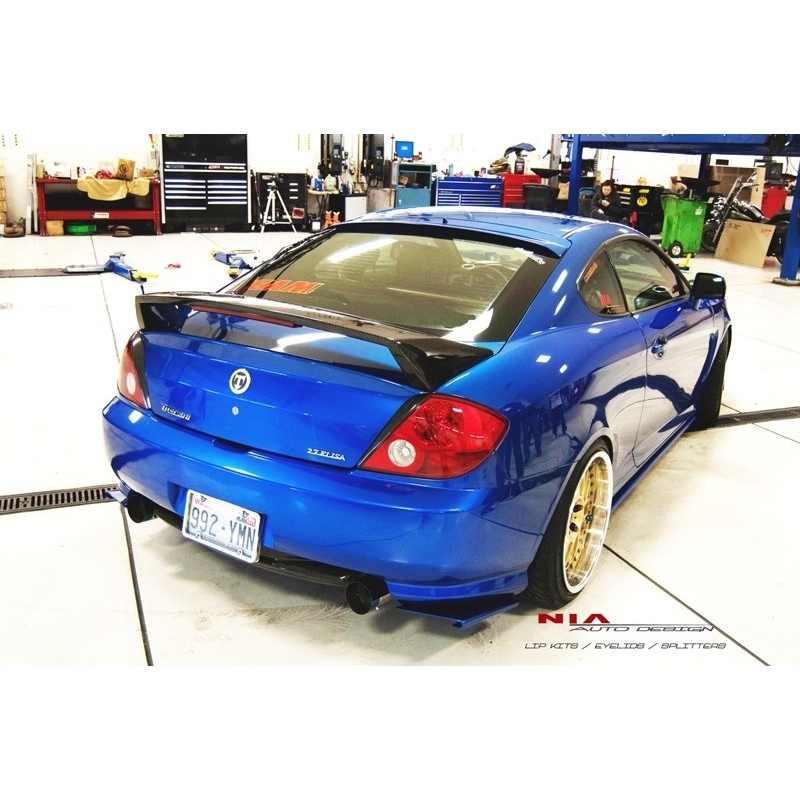 New and first of its kind, the Tiburon 2003-2006 NIA Rear Apron Diffusers are designed to give your Tiburon an aggressive stance. 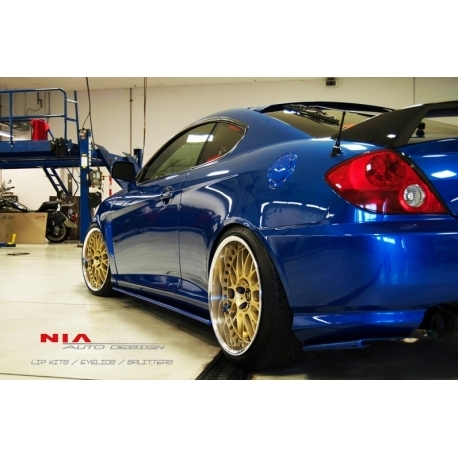 Options of primer-coated or color-matching by your vehicle paint code. 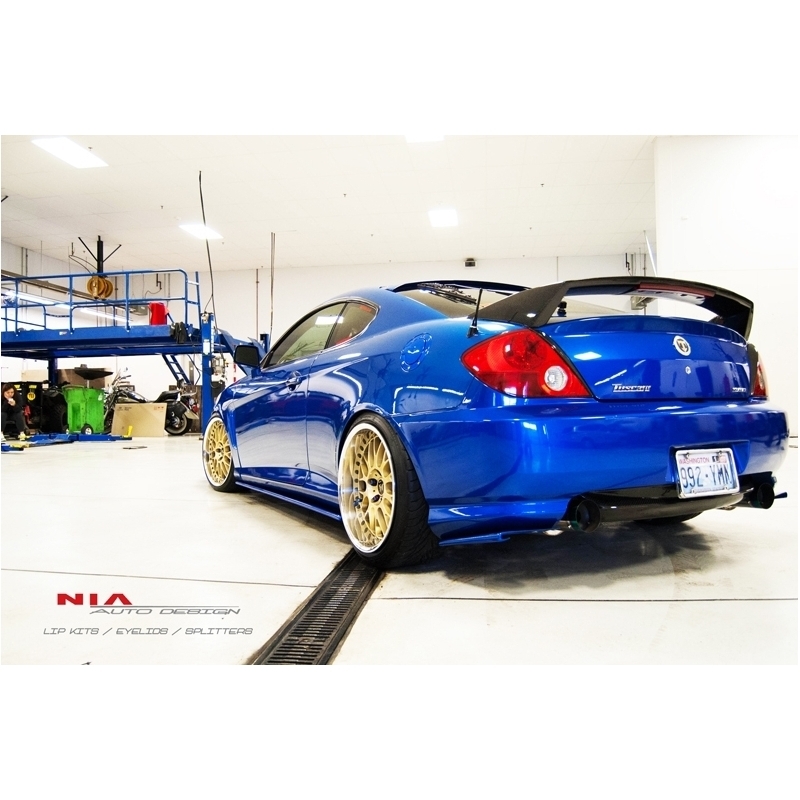 Inspired by rear diffusers used in track racing, this 2-piece kit bolts on the corners of your rear bumper with 6 screws (included). 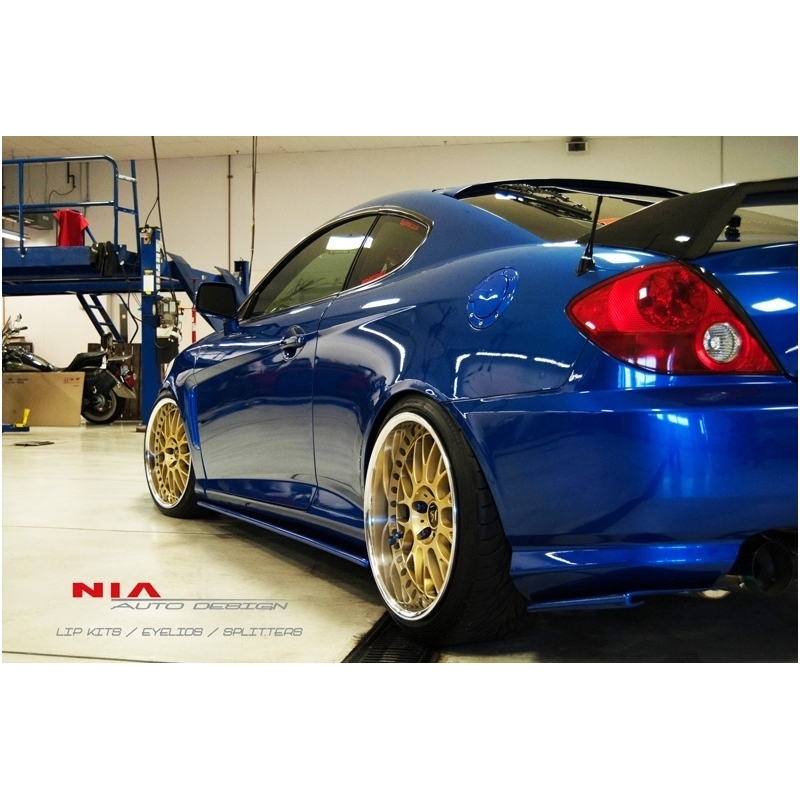 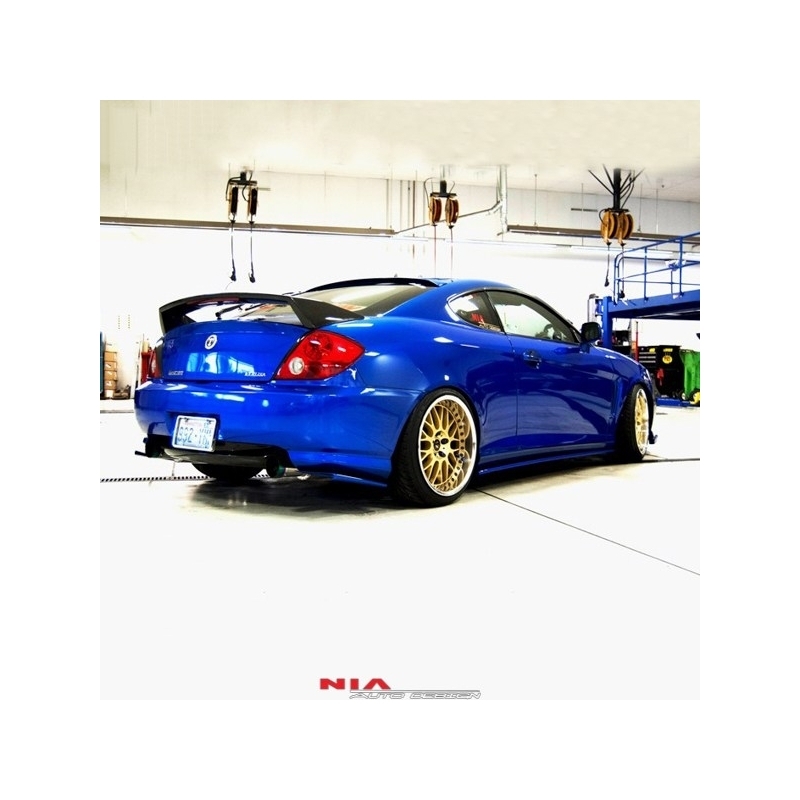 The Tiburon NIA Rear Apron Diffusers are built from ABS Plastic, making them strong, yet flexible to withstand the common pot holes, curb rash, and occasional parking blocks without breaking.